We made it to the hotel after a long day of packing, hauling and travel. We'll leave for the airport at 7:30 a.m, an ungodly hour, for our flight to Austin. 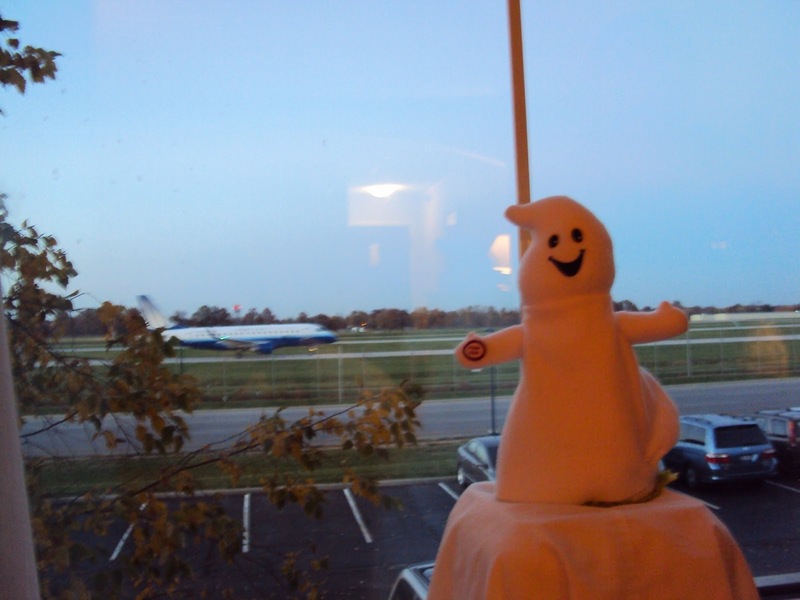 But it's much better than getting up at 4:00 a.m., which we would have had to do if we left from home. Not to mention having to put the car in storage ... Way too many things could go wrong with that particular plan, and with me involved, they usually would. 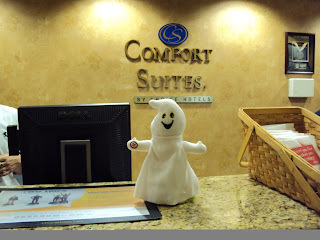 Ghostwriter checking into the hotel. 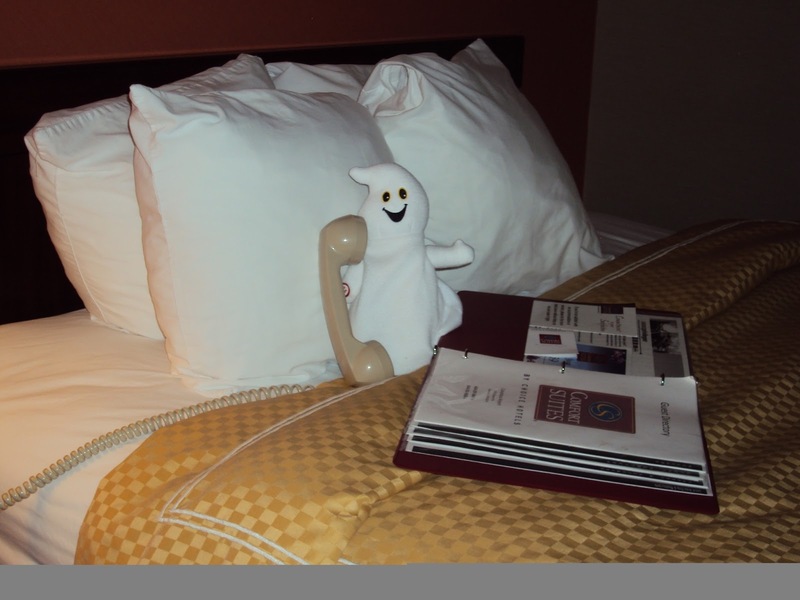 Ghostwriter is appalled by the lack of room service.